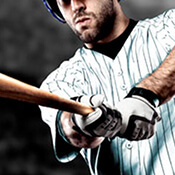 We love baseball at BetStars and if you share our passion, take a swing at our acca insurance offer in which your stake will be returned as a free bet on five-folds and above on all American sports if one lets you down. With tips and odds on all MLB matches and the professional league in Japan, we’ve got all bases covered for you to make a home run on baseball betting. Two of baseball's most historic franchises face off in the 2018 World Series.